Wing has appeared on my various mixes six times with five different songs. (I inadvertently used her version of "It Came Upon the Midnight Clear" on both Don't Wake the Kids (2005) and Stop Singing Those Dreadful Songs (2006). It was so good, I guess I just got carried away!) This puts her in second place among frequently featured artists, right behind Johnny "Bowtie" Barstow (7 tracks) and just before Red Sovine (4). Raised in Taiwan, Wing emigrated to New Zealand sometime before the most recent turn of the century. She settled in the Auckland area, where she began to sing on a volunteer basis at various hospitals, rest homes and sanatoria. Several patients apparently urged her to record an album, and, not subject to the oversight of a conservator or guardian yet herself, Wing obliged them with Phantom of the Opera, a collection of songs from the Andrew Lloyd Weber musical. This was followed by a string of CDs featuring various assortments of standards and popular hits. Despite, or perhaps because of, her unconventional style, Wing's recordings began to attract increasing numbers of fans, largely via the internet. In 2005, she expanded her repertoire by recording a series of tribute albums to various groups including the Beatles, the Carpenters, Elvis Presley and AC/DC. That same year, she guest starred as herself on an episode of South Park, called Wing. The singer's first U.S. performance took place in San Francisco on her one-stop "Wing Over America" tour in 2007, and she returned in 2008 to perform at the popular SXSW Festival in Austin, Texas. She's also appeared on television many times, including a live performance of Michael Jackson's hit "Beat It," which you really have to see to believe. Wiki, Wiki, Wiki, Wiki, Wikipedia. Firewall make our computer safe. Wing has released 22 albums and EPs to date, including two holiday CDs. The first of these, Everyone Sings Carols with Wing, features ten carols, including three that are sung in Chinese. 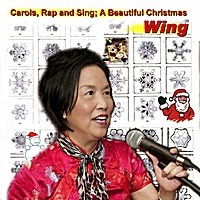 "Santa Claus on a Helicopter" appears on Wing's second holiday release, Carols, Rap and Sing; A Beautiful Christmas, which, as Wilson and Alroy's Record Reviews point out, is one of the few album titles to include a semicolon. The album consists of just five tracks. Wing was clearly going for quality over quantity. One of the five tracks is her version of "Hallelujah," written by the great Leonard Cohen and originally released on his 1984 album Various Positions. Here, too, Wing's version is extremely unique (see ¶2, above). You've almost certainly heard the song before, It's been featured in dozens of movies and TV shows and recorded by more than 300 different artists. The song is the subject of a fascinating book, The Holy or the Broken: Leonard Cohen, Jeff Buckley & the Unlikely Ascent of "Hallelujah" (2012), by former Rolling Stone critic Alan Light. I don't believe anyone but Wing has recorded "Santa Claus on a Helicopter" to date, but then again the truly great songs can sometimes seem a little too intimidating to attempt. A few final thoughts: First, Wing offers a unique (there's that word again) "singing service" to her listeners and fans. For a modest fee, Wing will call the phone number of your choosing and sing one of her songs to the person you identify. I had her call a friend of mine on his birthday several years ago to sing him the "Happy Birthday" song, and I'm pretty sure he has yet to recover from the experience. Details on the service are available HERE. Second, despite the my snarky comments, I honestly like Wing. True, I can't tolerate her singing for more than 10 or 15 seconds at a time, but when you consider her as a complete package, there's something especially endearing about the woman. She seems to love what she's doing and her enthusiasm is contagious. Moreover, she genuinely appears to care about others, whether it's the invalids she sang to at her first sanatorium performance or the stoner teens she's trying to reach with her heartfelt anti-crack message. Mark me down as a "Wing nut." It's not the first time I've been on such a list. Finally, there are actually three different versions of this year's mix in circulation, one of which features a short "hidden track" that follows Wing's offering. If you're lucky enough to have received the version with this hidden track, you'll know right away who performed the track and what it's about. In fairness, I have to admit the underlying piece was edited slightly, but the result is probably a more honest statement about the speaker's true beliefs than the original version was. Unfortunately, I don't have very much information to share about this track, which I accidentally stumbled across a few years ago on the Dr. Demento website. Demento, otherwise known as Barret Eugene "Barry" Hansen, is a radio broadcaster and record collector who specializes in offbeat and novelty records. He hosts a weekly internet show that features episodes that are largely organized around specific themes. At least one or two of the shows each December boast holiday themes, and they're a good source for unusual Christmas tunes and holiday comedy. I happened to spot "Santa's Coming on a Whirlybird" in one of my files shortly after I'd selected Wing's helicopter-related nightmare for this year's mix, and I thought the two songs belonged together. This little number has got to be among the oddest of the many odd lots I've featured on my various mixes, and once I fill you in a bit on its history it's going to seem that much odder still. Its origins trace back to a post on Beware of the Blog, run out of free-form radio station WFMU-FM, broadcasting at 91.1 FM in New York and 90.1 FM in the Hudson Valley. There aren't a whole lot of free-form radio stations left today in this land of the free, and that's an awful shame. There aren't many blogs like Beware of the Blog, either. 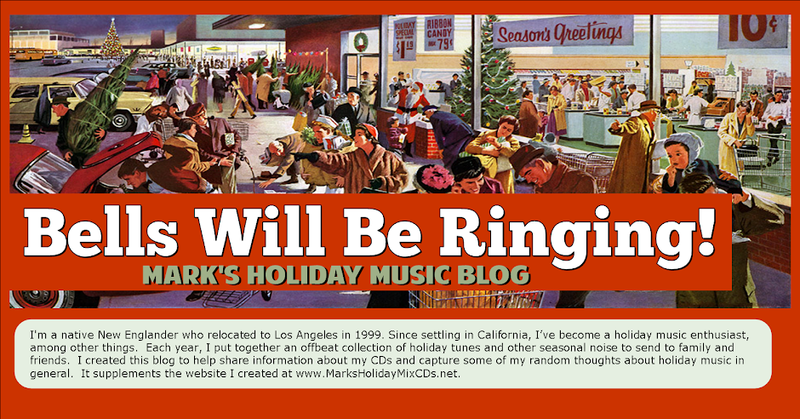 Over the years, it's been the source for more than a few of my holiday mix tracks as well as a bunch of graphics, movies and soundbites I've used elsewhere. The posts are less frequent and less interesting than they used to be, but it's definitely worth a look. 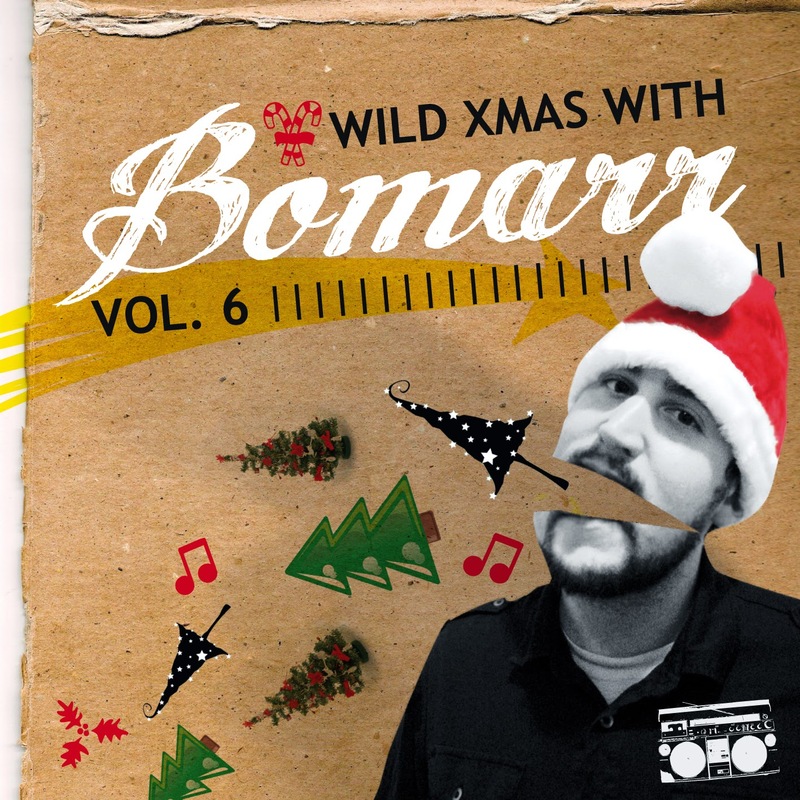 The short clip on my mix was created using the raw audio that was posted on the blog on December 26, 2010. One of the blog's regular contributors collects reel-to-reel tapes that he's found at various garage sales, thrift shops and elsewhere, many of which contain fascinating slices of life,. This was the case with some tapes that were apparently recorded during the 1971 Christmas season by a couple of graduating college students from Omaha, Nebraska, named Sue and Mike. The two had been married for around a year, and it sounds as though the tapes were made to be sent to their parents to make them feel as though they were a part of their holiday festivities. What struck me most as I listened to their tapes was how different they seem compared to today's college students. Had I not known they were finishing college, I would have guessed they were much older. Of course, if they were making the tapes for their parents, they were no doubt trying to sound more serious and mature than they may have been; but they seem more middle-age in their outlook than young 20-somethings. Consider for a moment how much our culture has changed from their time to today — music, movies, TV, fashion, design, media, technology. My mind hurts just thinking about it. Of course the big question that remains is what ever happened to Sue and Mike? Despite the efforts of several curious WFMU listeners, they have yet to be located. Assuming they were in their early 20s when they made their tapes, they'd be around 65 years old today. Wherever they are, we know they had a lot of fun during the long-ago Christmas season of 1971.